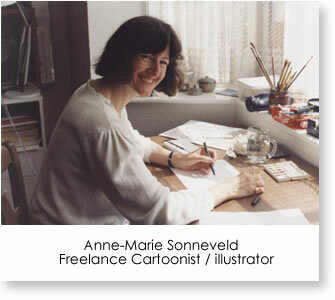 I am a freelance illustrator based in Sussex. I have been creating illustrations for over 30 years for virtually every media and for the last two years I have regularly been commissioned by authors of children's books, 14 books in 2017 alone. My work can be divided into three categories, i.e. WHITEBOARD ANIMATIONS. These are mostly commissioned for promotion purposes (YouTube, Social Media) or for presentations. Have a look at my portfolio and see for yourself. Please contact me to get more information. In 2012 I started Sunny Field Publications, specialising in reading books for very young children. To find more about this, click here.